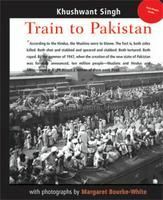 In my quest of reading books of all kinds I recently stumbled upon Train to Pakistan – a historical novel by Khushwant Singh published in 1956. I had bought this book a long time back, but never had the time or intent to read it. It just got lost in the middle of the other bigger volume books I guess. A week back I started reading it, and could not put it down till finishing it. It is a small book(about 200 pages), and is over 50 years old, but still feels so fresh and new. It recounts the Partition of India in August 1947. Instead of depicting the Partition in terms of only the political events surrounding it, Mr. Singh digs into a deep local focus, providing a human dimension which brings to the event a sense of reality, horror, and believability. Truth meets fiction in this very well written episode of one of the most violent times in our history. Mr. Singh must have himself been witness to this mass gory, and it shows in the writing. The trauma and tragedy of partition have very well been captured through the characters and their simple stories. Indeed, the book has been scripted in blood. It is the summer of 1947. But Partition does not mean much to the Sikhs and Muslims of Mano Majra, a village on the border of India and Pakistan. Then, a local money-lender is murdered, and suspicion falls upon Juggut Singh, the village gangster who is in love with a Muslim girl. When a train arrives, carrying the bodies of dead Sikhs, the village is transformed into a battlefield, and neither the magistrate nor the police are able to stem the rising tide of violence. Amidst conflicting loyalties, it is left to Juggut Singh to redeem himself and reclaim peace for his village. Is he able to? Partition has left many scars in the hearts of several Indians and those tragic days still haunt the new India, the memories of that tragic period still makes people shiver, and being a sindhi and hearing these stories from my grandma, I completely relate to it. Imagine being ousted from your house, friends, family, everyone and packed off to some distant land, like a courier package. All this, only because you are circumcised, or you are not! A must read for any one, who wants to get a first hand feel on the happenings of those times. A big message from the book would be that this kind of holocaust should never ever again happen anywhere, and the pain and torture is simply irreversible. Must be an enjoyable read Train to Pakistan by Khushwant Singh . loved the way you wrote it. I find your review very genuine and orignal, this book is going in by “to read” list. request for book review on first ever book on social networking, ‘the asocial networking’. My name is Dhiraj Kumar.I am an IIT Kanpur alumnus and a resident of India. I have written a book called ‘the asocial networking’ which has just been published by a leading publisher in India and worldwide. I would request you to have a read and share it with your fans. your comments, feedback and reviews are most welcome, You may contact me if you wish to review the book, or to interview me, or for my comments on issues that you are working on. I am looking for your involvement in taking this book forward in whichever way you like. I can be contacted for free review copies.